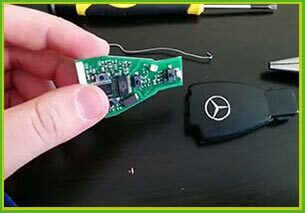 Key fob repair is not a layman’s errand. No local locksmith will have the wherewithal or the understanding to resolve the issues. Washington DC Emergency Locksmith has been in the locksmithing business for years now, and there’s no one who can fix what’s broken better than us. Right from analyzing the issue, to fixing it to checking the compatibility with your vehicle, you’ll notice the professional edge in our work from start to finish. Call the experts on 202-753-3887 !